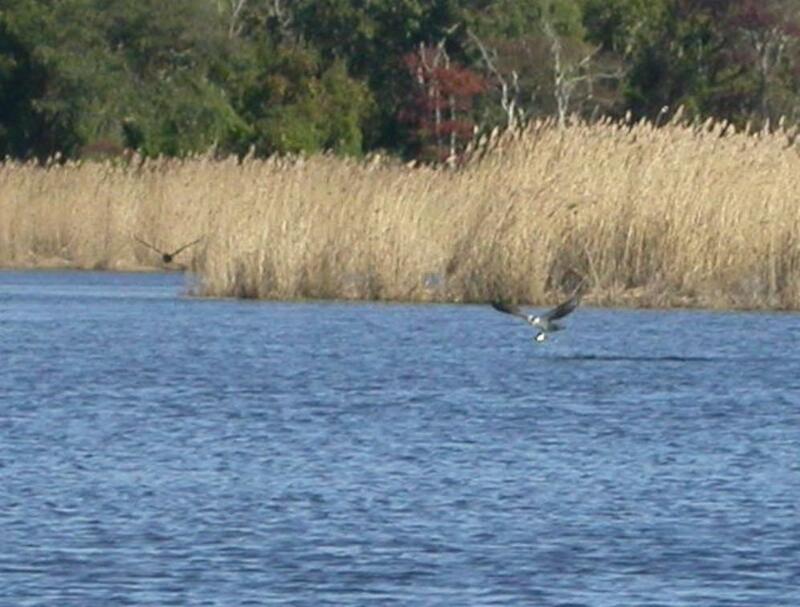 different places, such as Cape May Point State Park in southern tip of New Jersey, USA , Edwin B.
Jersey, USA when I visited that area in October 2005.
lot of hassle and competitions from many other gannets on the water surface. 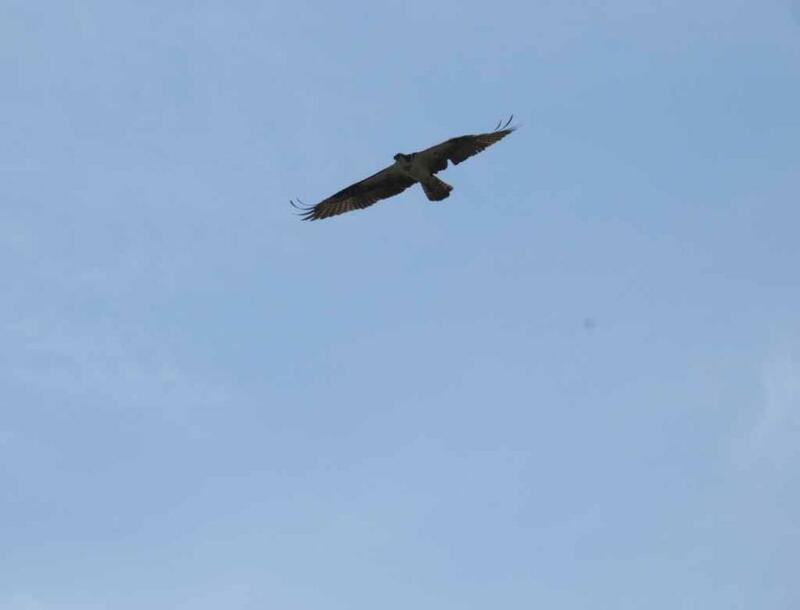 Lyndhurst, New Jersey when I visited that area on September 4, 2006.
in its flight path to evade that bandit big bird. 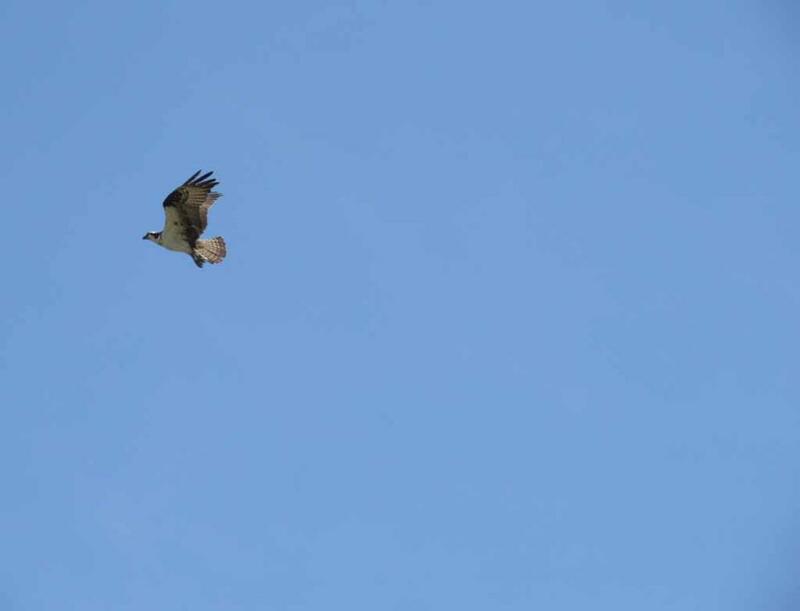 I did not know what that bandit big bird was (might be an eagle). 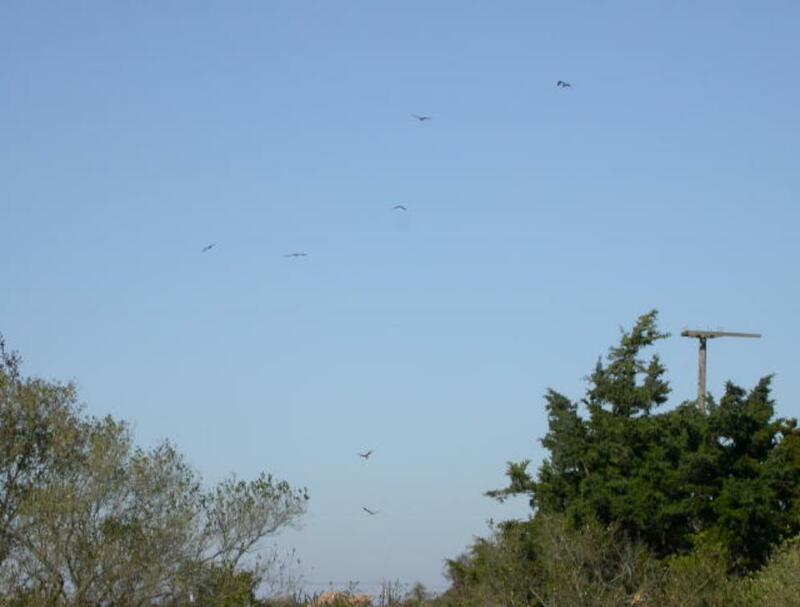 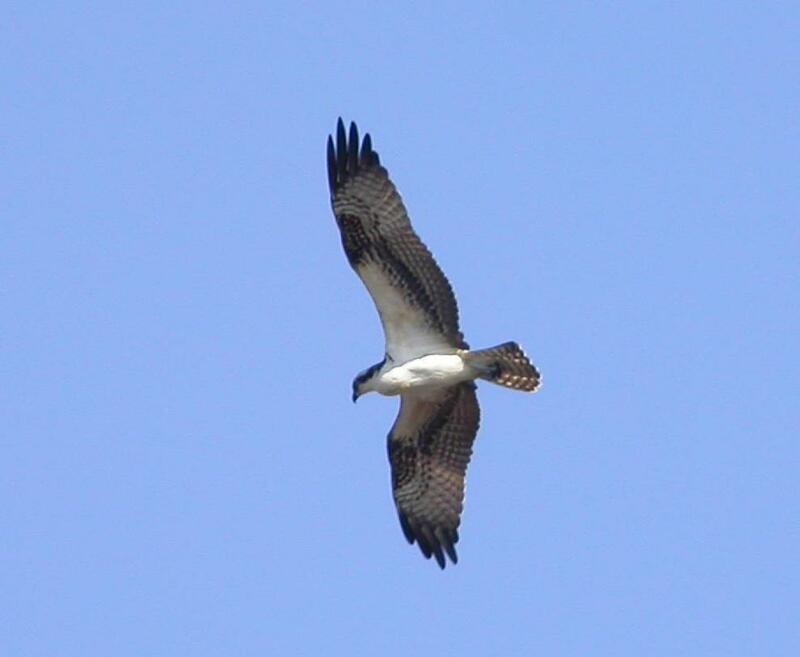 watchers to see many ospreys concentrated and hovering over the ponds to catch fish in Cape May Point. 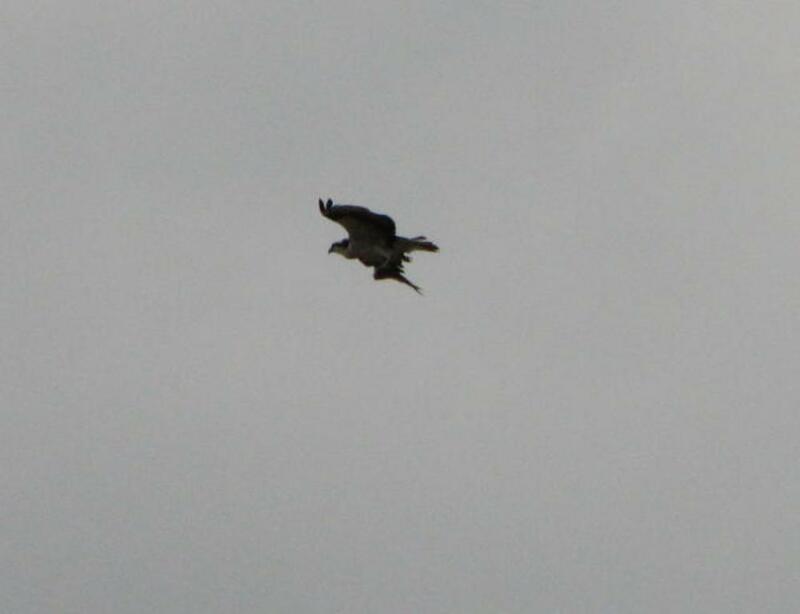 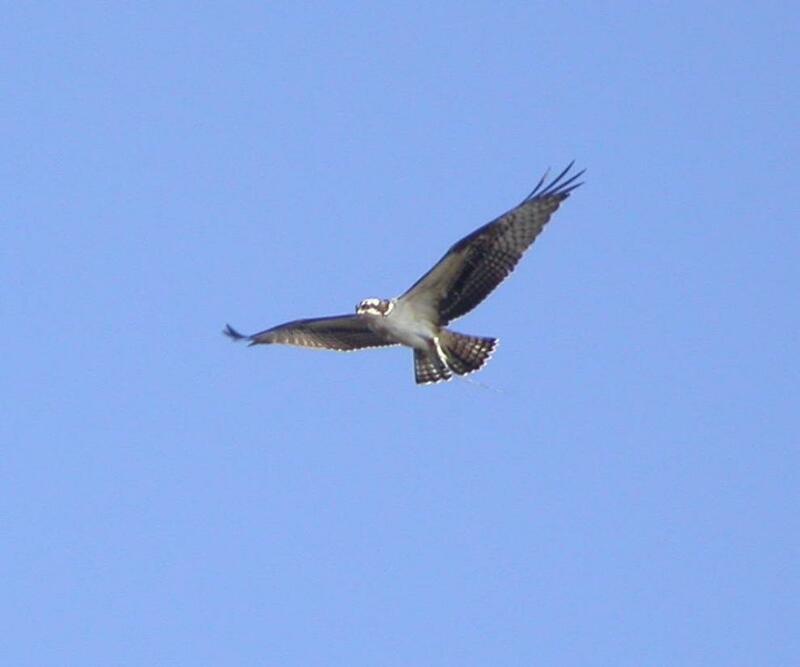 osprey hovering over the lake looking down for a fish. 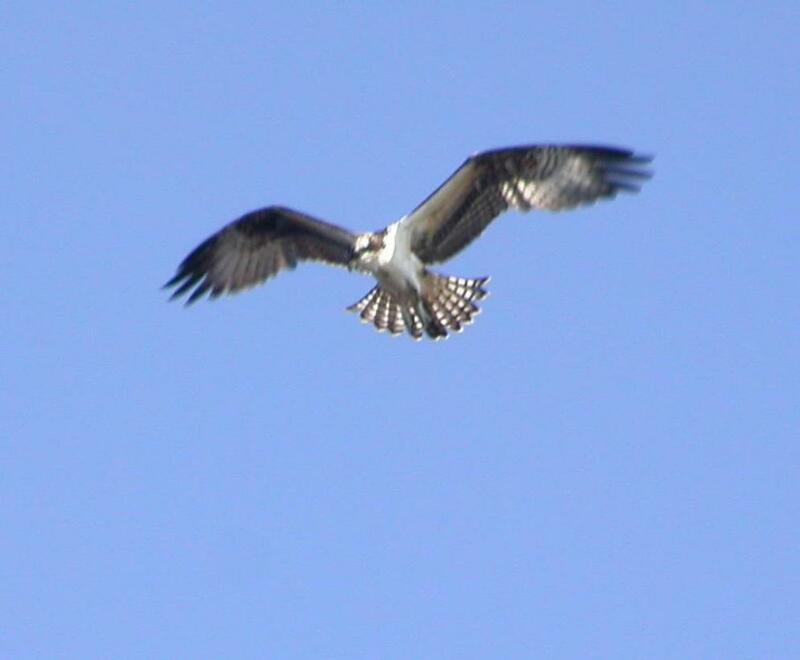 hovering over the pond looking for fish to catch. 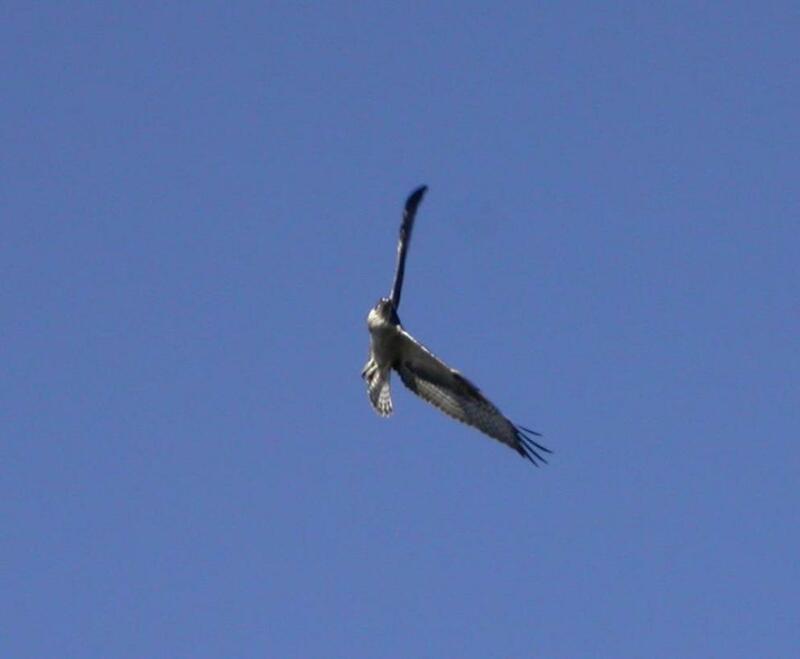 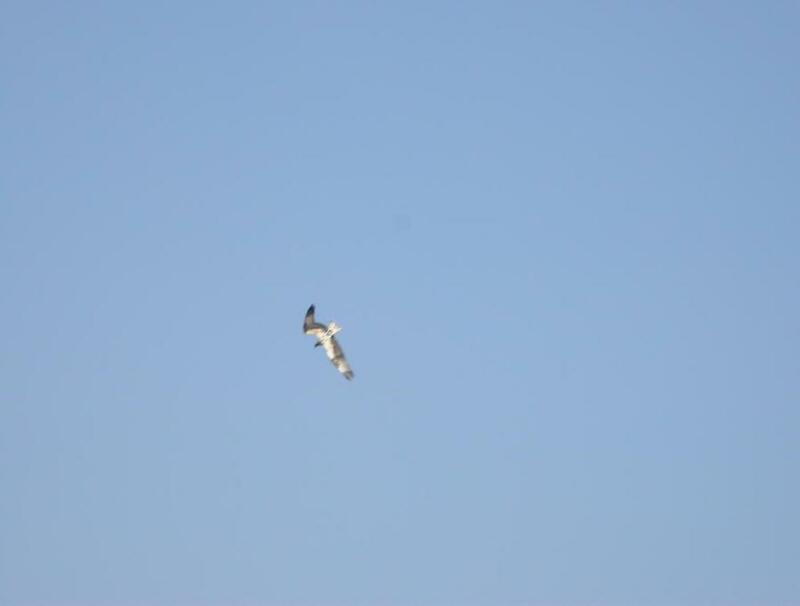 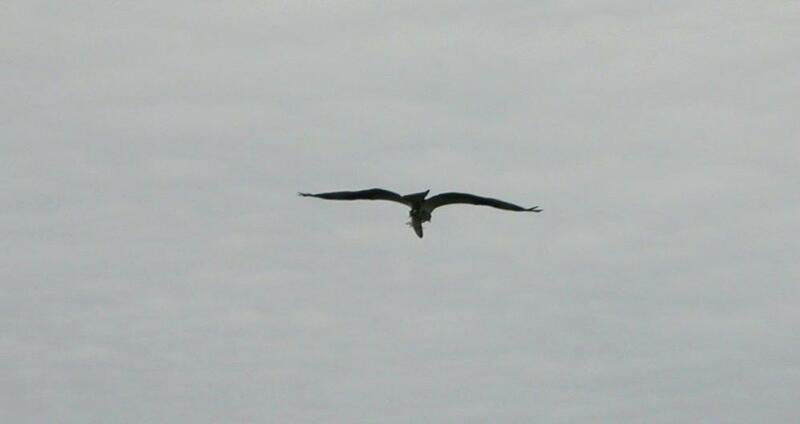 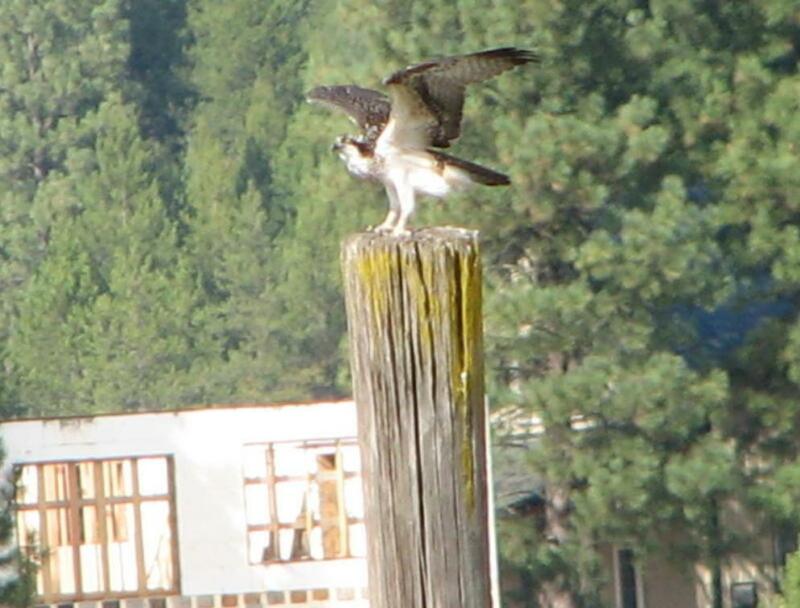 I took several pictures of this osprey in action. 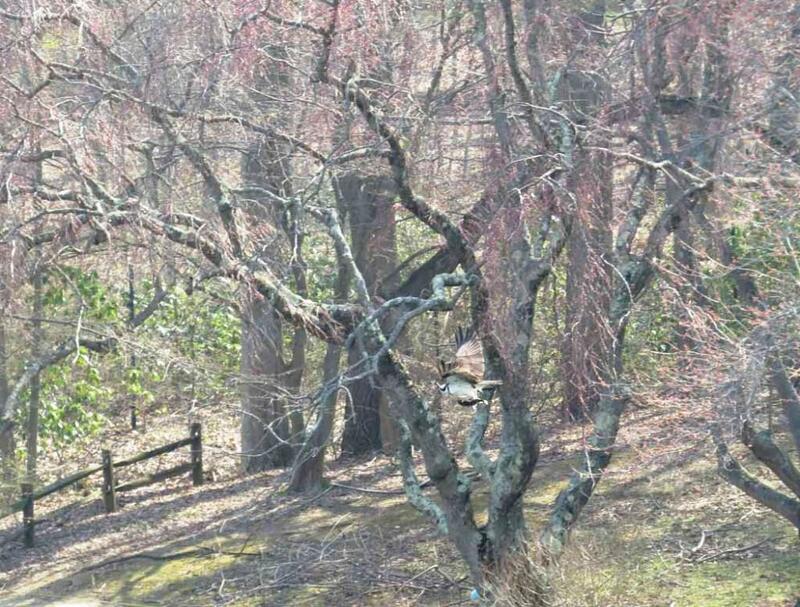 as shown in these two pictures. 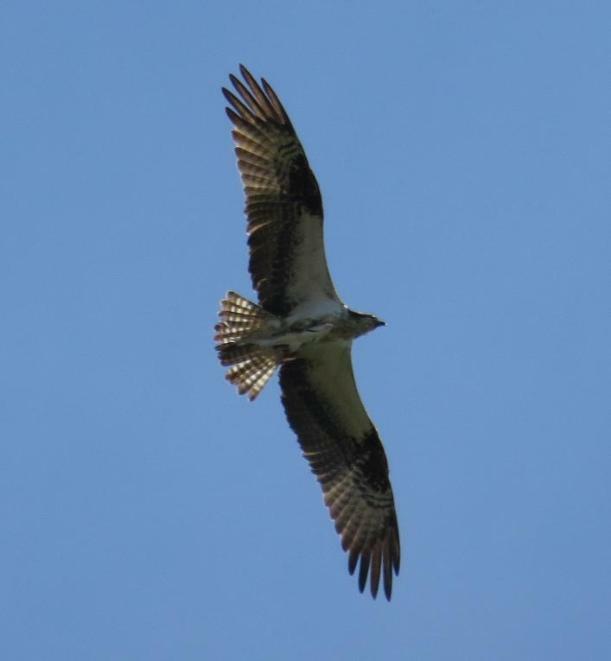 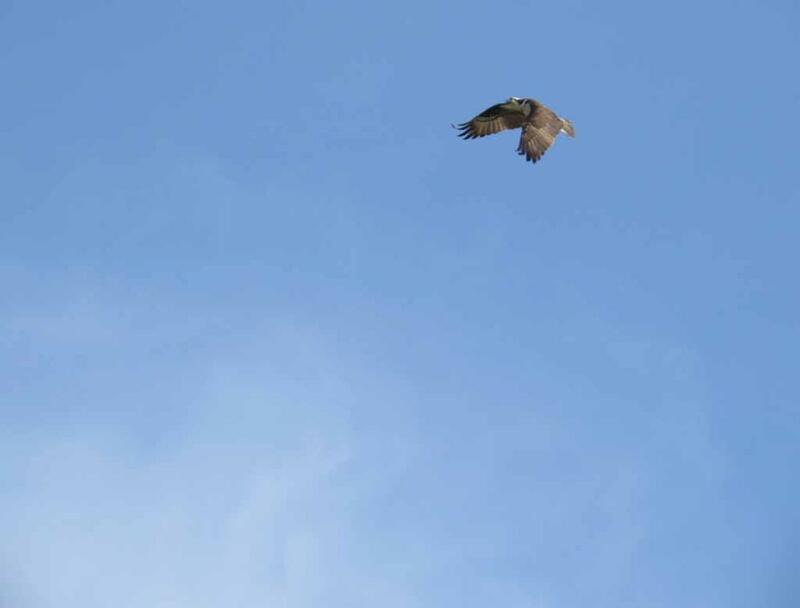 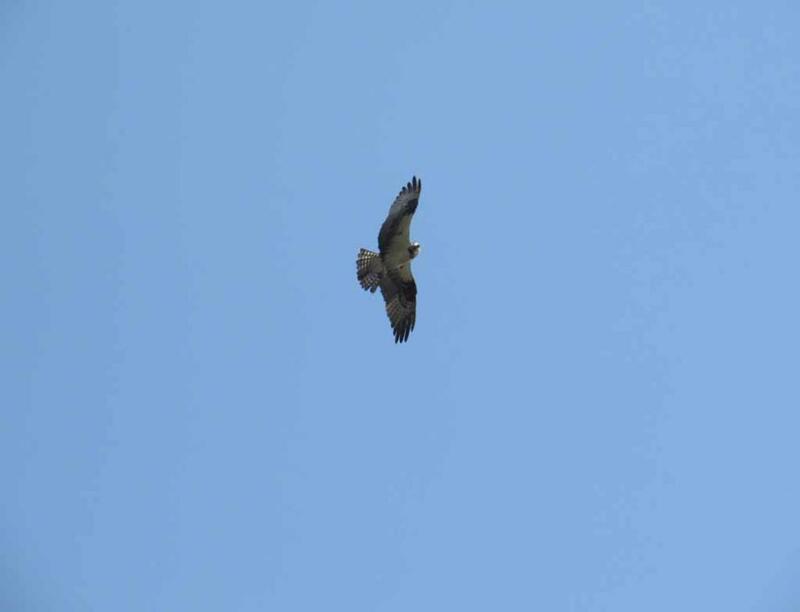 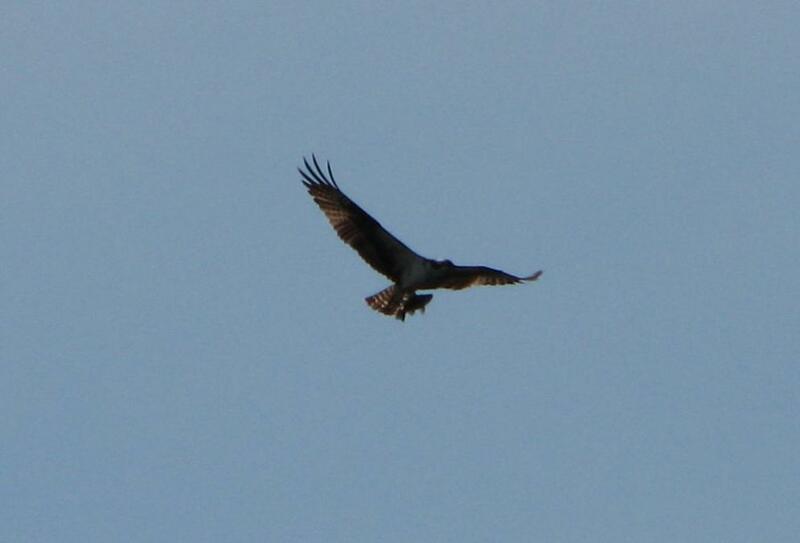 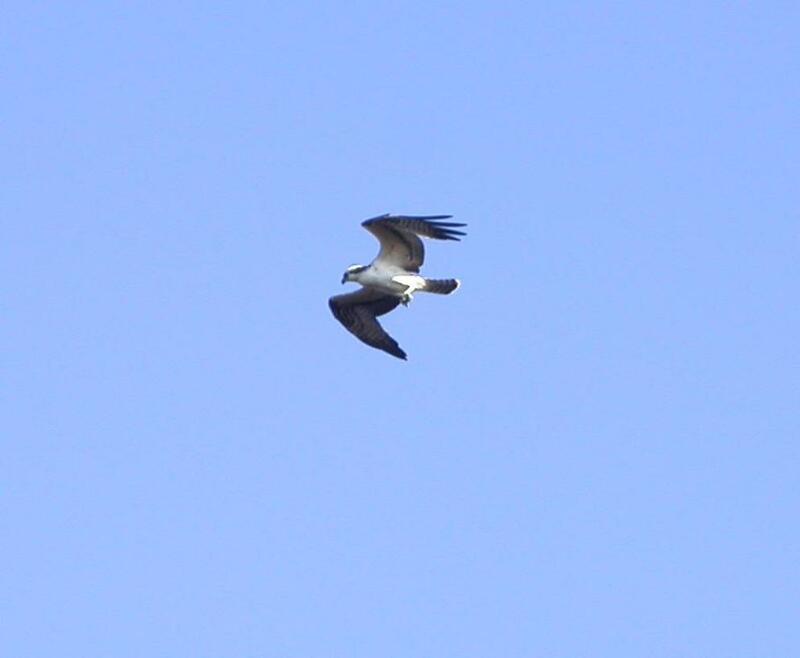 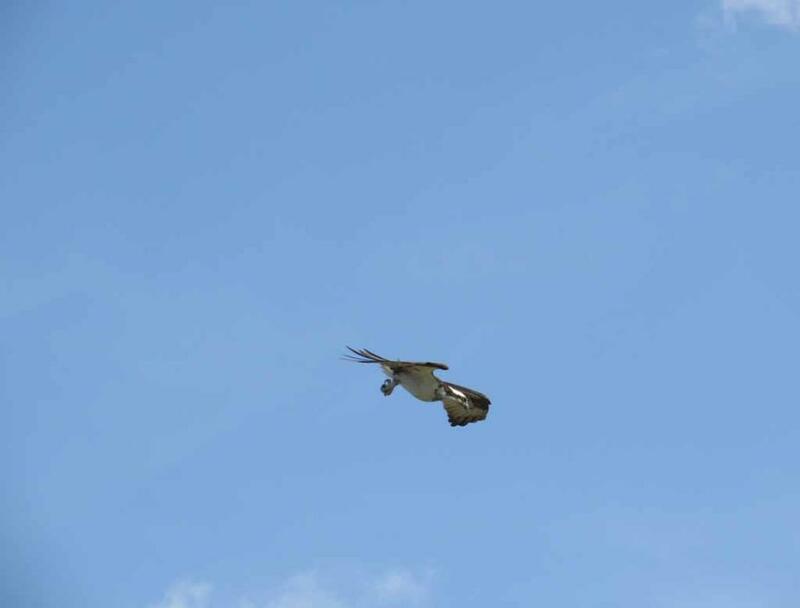 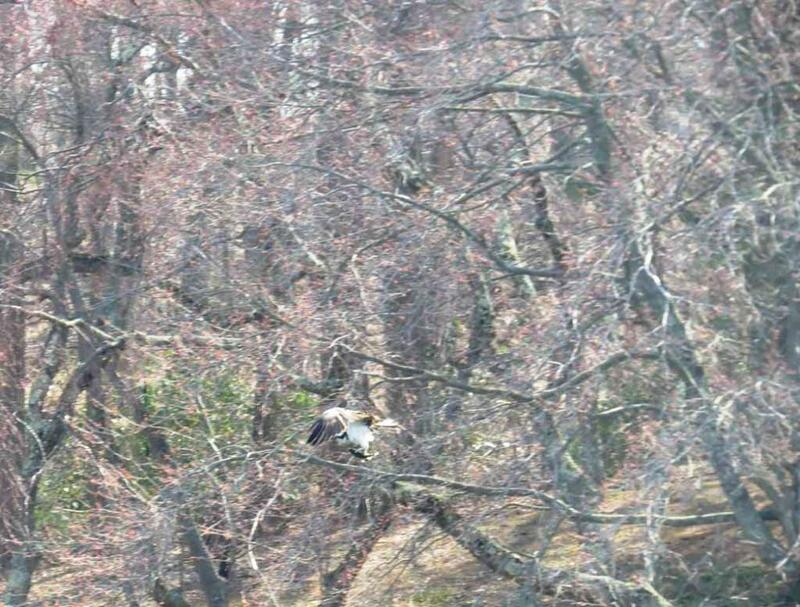 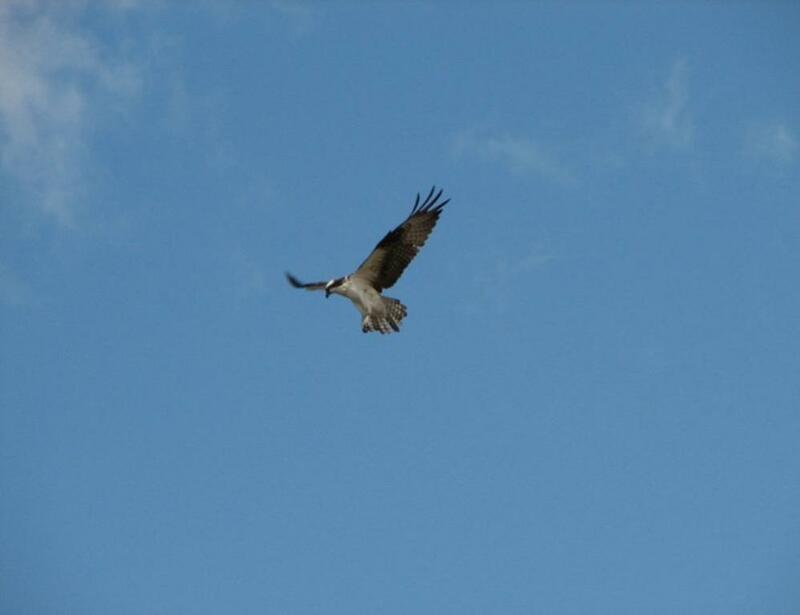 An osprey hovering over the pond in Holmdel Park in New Jersey looking down for fish to catch. 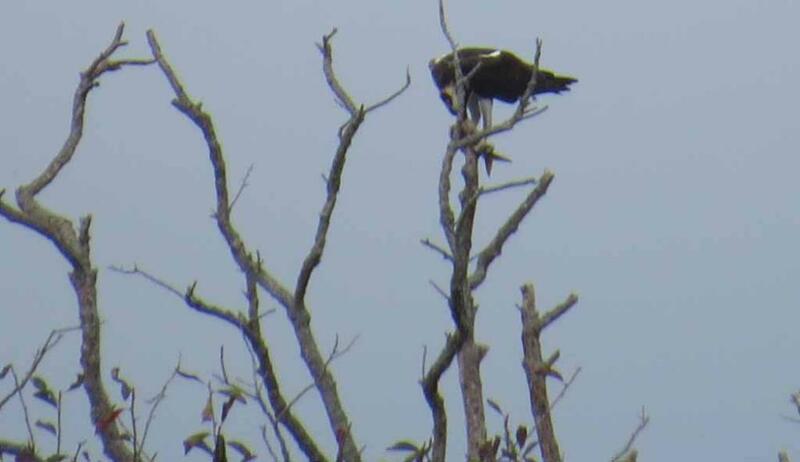 perching on the tree top with a big fish in its talon. 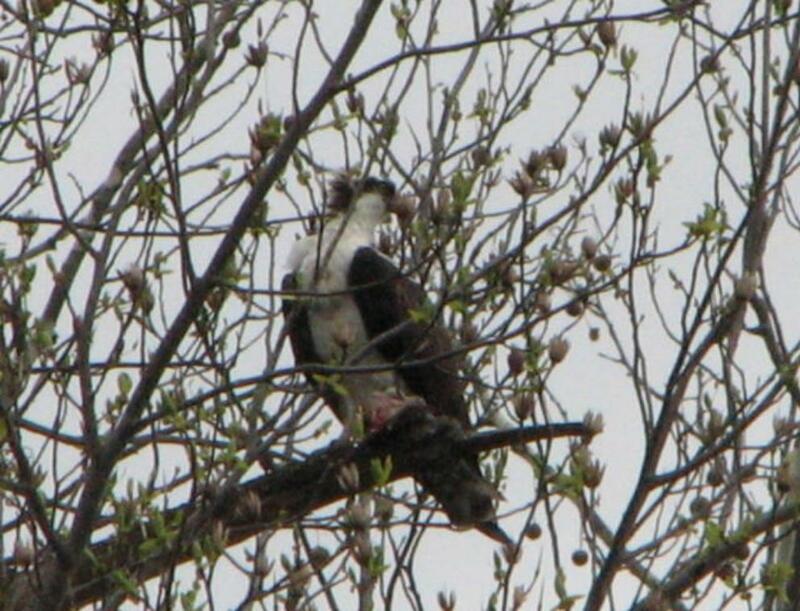 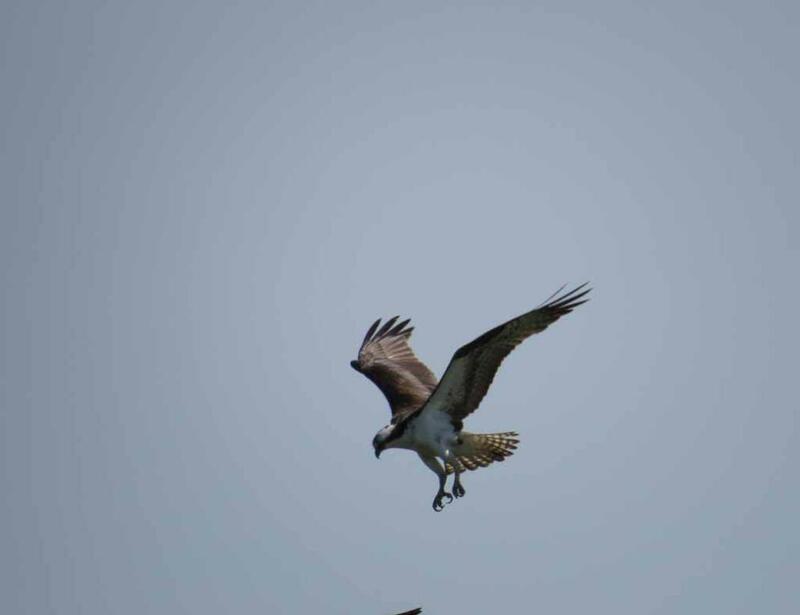 The osprey was busily eating the fish near a pond in Cape May Point State Park in southern New Jersey. 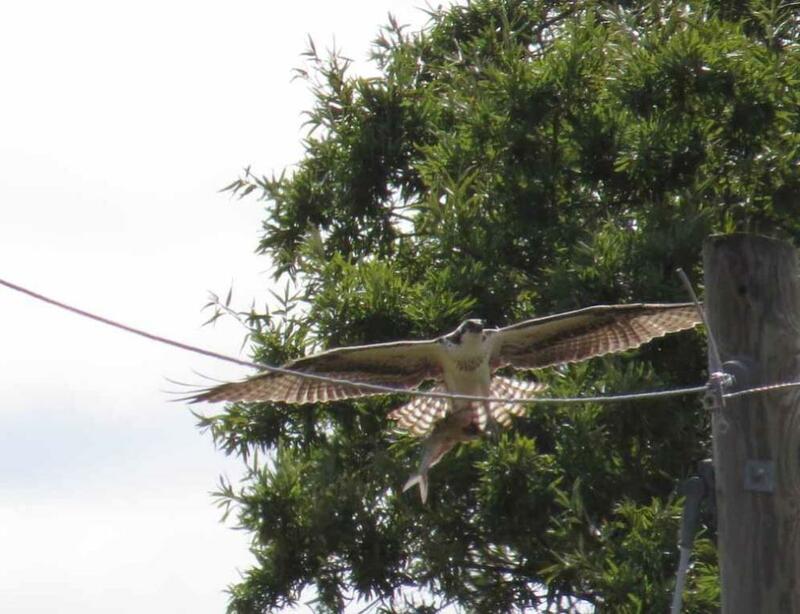 New Jersey on June 19, 2013. 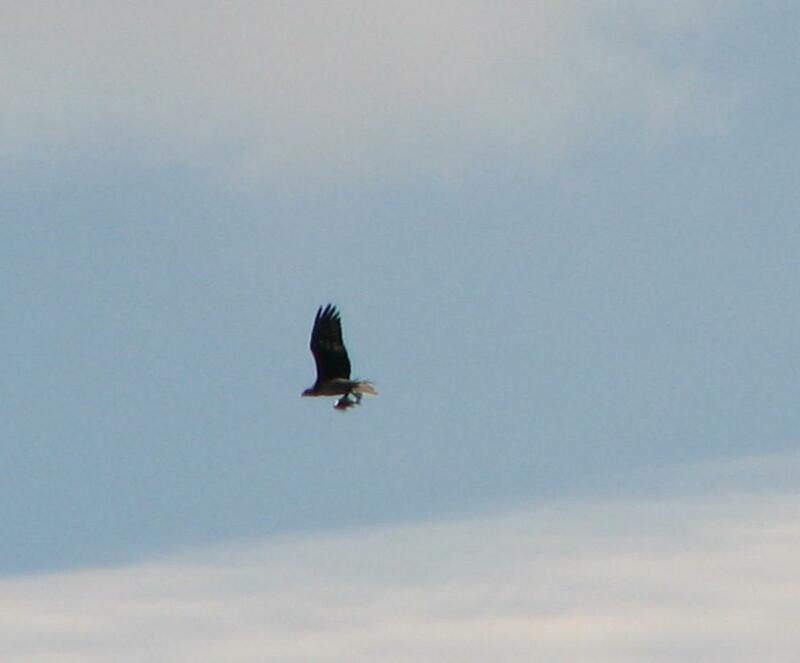 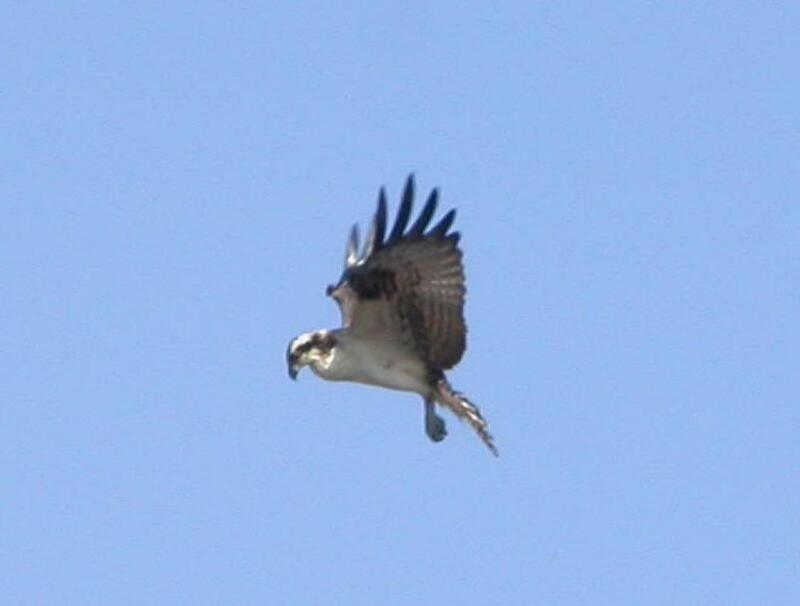 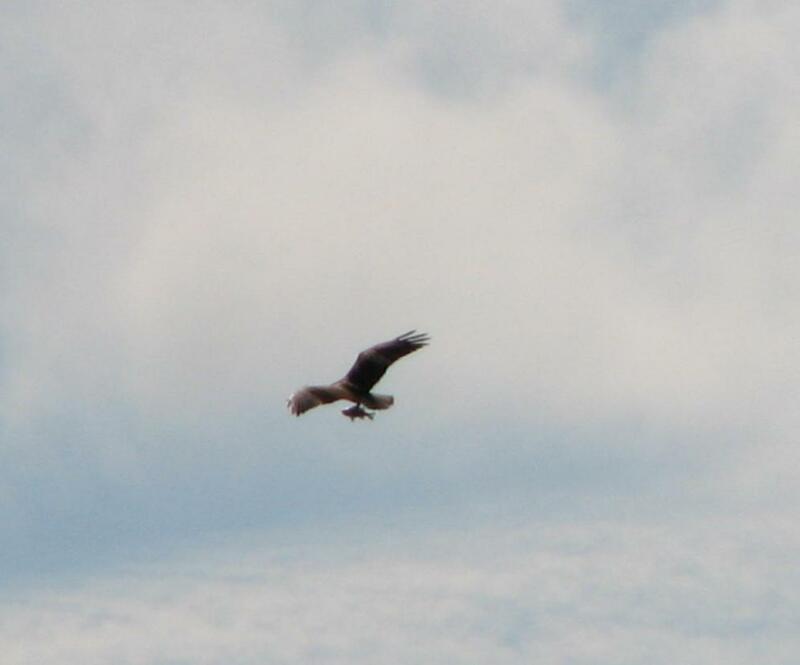 An osprey got a fish in Edwin B. Forsythe National Wildlife Refuge (NWR) in southern shore of New Jersey. 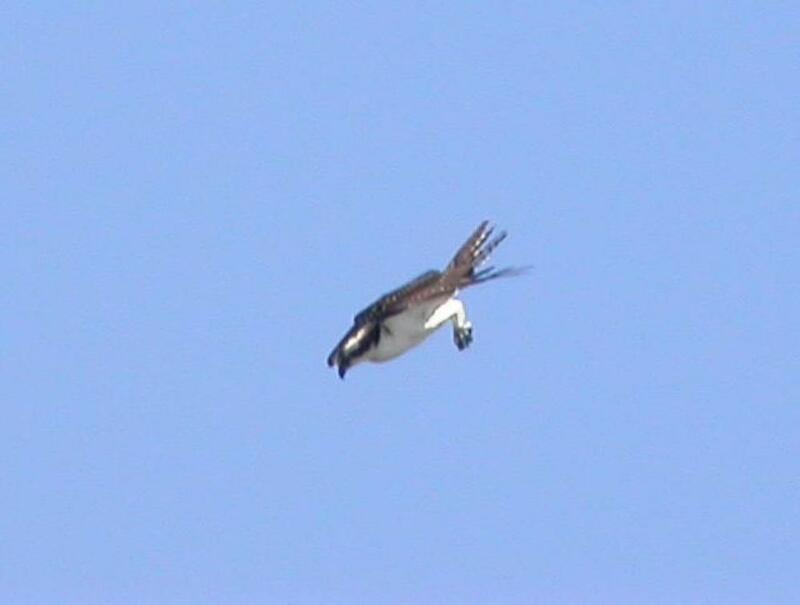 This osprey just got out of water with a fish in its talons at Cape May Point State Park. 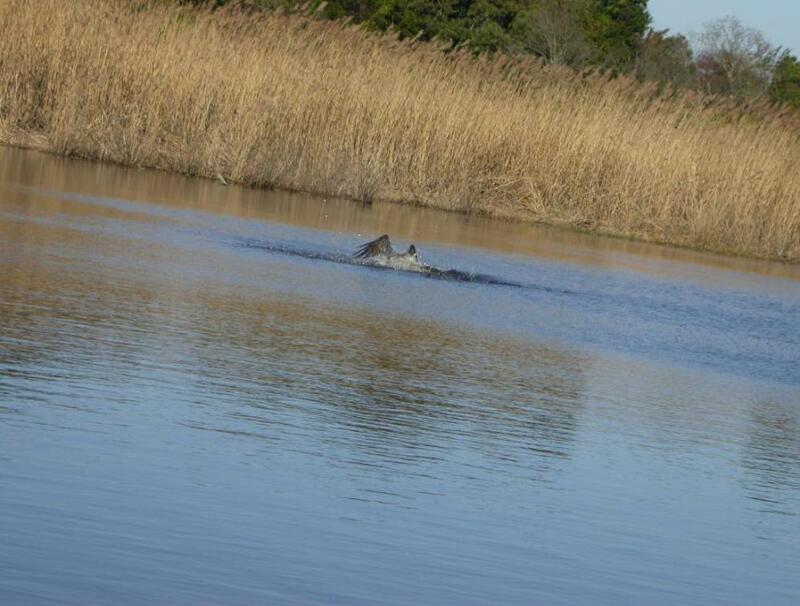 eat the fish. 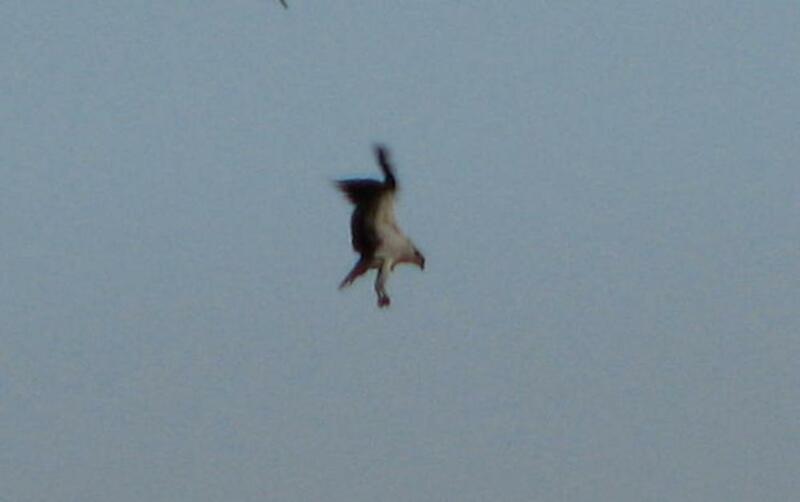 But gannet, heron, egret, puffin, etc. 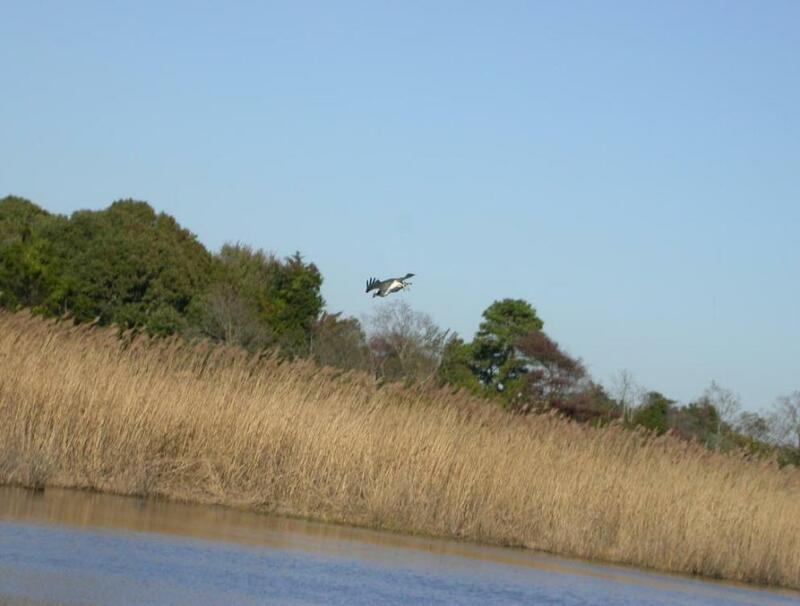 use their bills to catch fish and to eat fish. 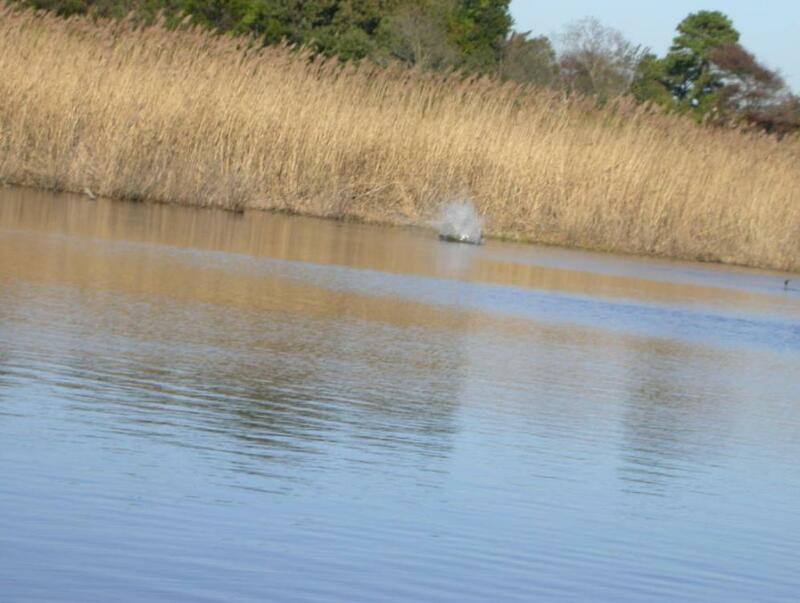 southern shore of New Jersey. 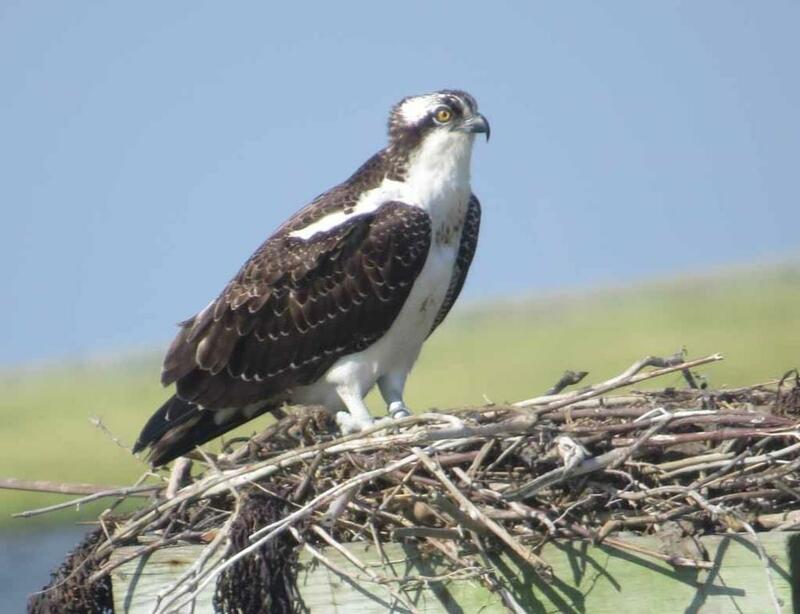 Another osprey on a nest in Edwin B. Forsythe NWR. 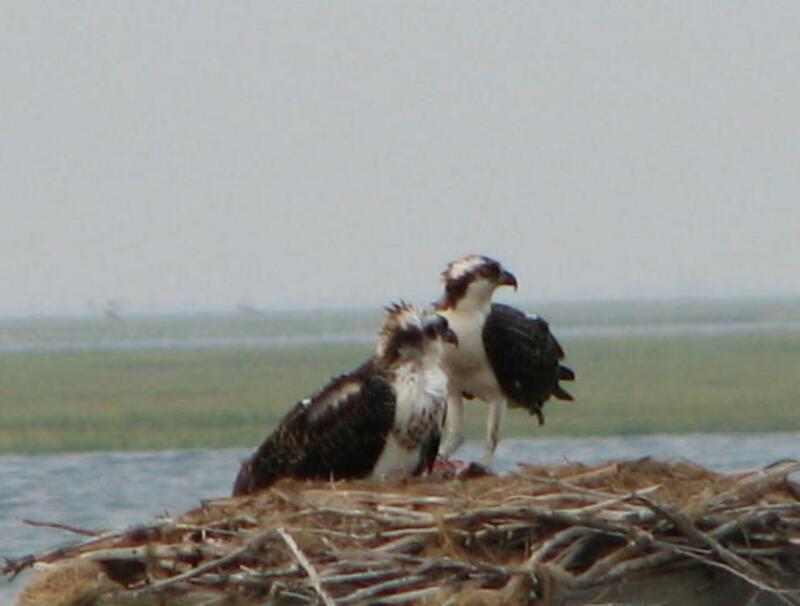 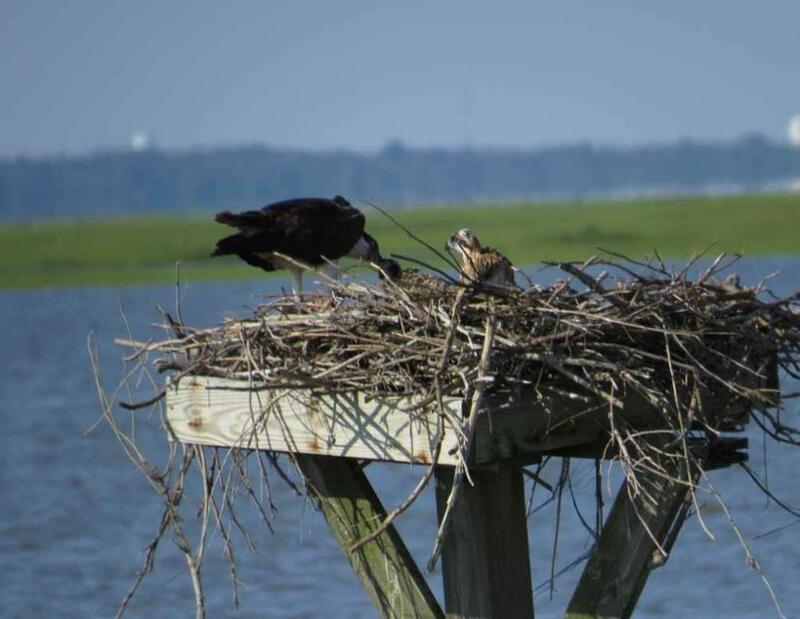 Two young ospreys on a nest in Edwin B. Forsythe NWR. 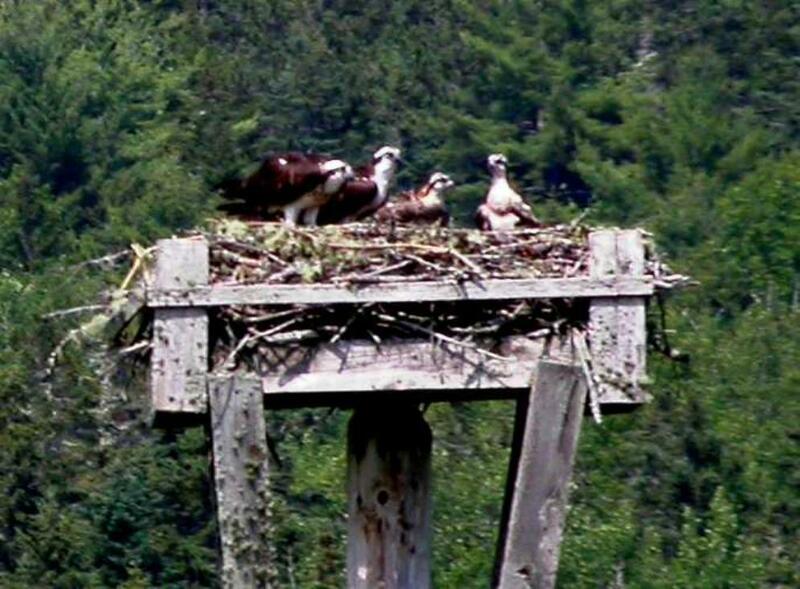 Several ospreys on a nest in Moosehorn NWR in Maine, USA. 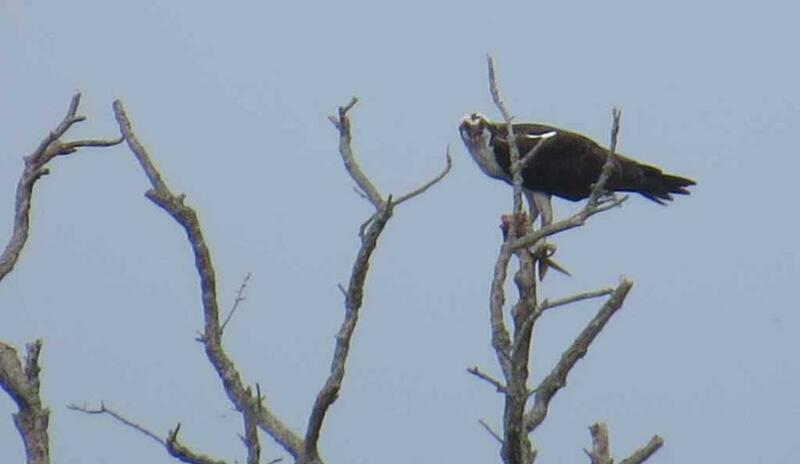 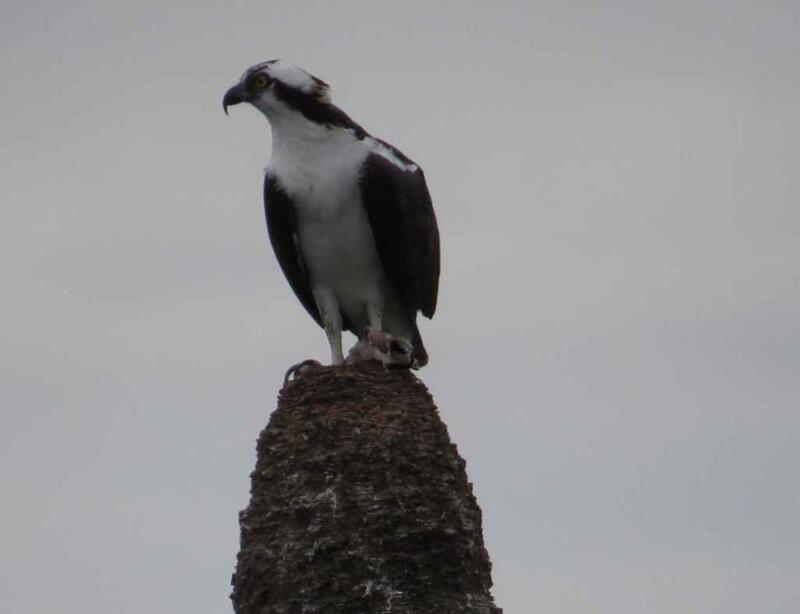 An osprey was eating a fish held under its talon on a tree top in Viera Wetlands in Florida.